Washington (CNN) – A new round of scrutiny hit the IRS on Monday as senators from both parties summoned the agency’s chief to Capitol Hill, one House committee set up a new investigative hearing and another issued a subpoena for the head of the agency to appear. This came after the IRS announced that up to two years of e-mails from former agency manager Lois Lerner were destroyed when her hard drive crashed in 2011. Lerner ran the IRS division that oversaw tax-exempt status and is a key figure in the investigation into why the agency targeted tea party and other groups. The IRS says it has worked to recover the Lerner e-mails by searching through the accounts of dozens of employees who may have corresponded with her. But that did little to quell sharp reactions across Congress, which has been investigating the matter for over a year. Fastest to respond was the Senate Finance Committee, whose two top leaders called IRS Commissioner John Koskinen to Capitol Hill for a late Monday meeting. He met with the two men for over an hour, but senators still left with questions and doubt. “We’re pressing to get answers whether any relevant information is missing or whether we’ve gotten everything we’ve asked for,” said Finance Chairman Ron Wyden, D-Oregon. 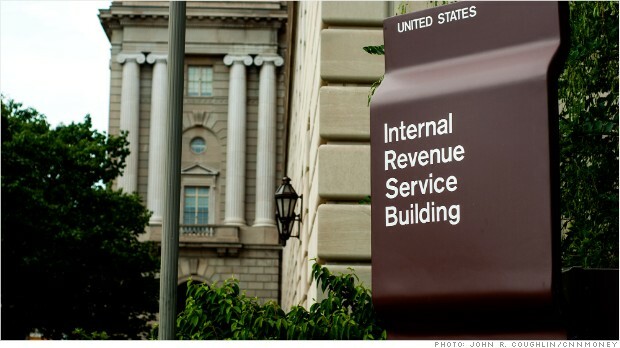 The IRS has described the missing e-mails as dating from 2009 to mid-2011. At that point, the agency says its computer system had a strict limit for the e-mail capacity of each employee’s account. If a worker went above that capacity, they had to either move e-mails to their hard drive or delete them. When Lois Lerner’s hard drive crashed in 2011, the agency states, her saved e-mails were lost from her account and computer. The IRS provided e-mails from 2011 in which Lerner asked IT support staff for help with her broken hard drive and missing e-mails. The agency says it has recovered 24,000 of those e-mails by searching the accounts of 83 other IRS employees who corresponded with Lerner. IRS chief Koskinen said Monday that his investigators knew about the crashed computer drive in late spring. It is not clear why the IRS waited until Friday to tell Congress. When CNN asked, Koskinen responded with a two-fold answer, saying that 1) the IRS didn’t know when the Senate Finance Committee report was going to be finalized and 2) the IRS thought it would have at least until the end of June to go through all the missing Lerner e-mails it had found in other IRS workers’ accounts. But those in the Senate saw the timing differently. According to two Senate aides, Hatch contacted the IRS on Friday to verify the agency had sent over all pertinent documents to the investigation. Only after that, the aides say, did the IRS notify Congress that in fact thousands of e-mails had gone missing two years ago and that the agency had been working to retrieve them. The Senate report, which was nearly final, is now delayed indefinitely as the committee tries to determine what material is still missing. As senators met with Koskinen in private, two House committees also investigating the IRS controversy seemed to vie for who could hold the first public questioning of the IRS chief. House Ways & Means Committee Chairman Dave Camp, R-Michigan, announced that Koskinen has agreed to testify about the crashed hard drive and missing e-mails Tuesday, June 24. Within minutes of that announcement, House Oversight Chairman Darrell Issa, R-California, announced he had issued a subpoena for Koskinen to testify at his committee Monday night, June 23. Koskinen said he was happy to testify and was aware of and planning to attend the Ways & Means hearing. Whether he attends one hearing or two next week, Koskinen faces a torrent of questions. Both Camp and Issa said they plan to ask the IRS chief if his agency broke the law by failing to preserve e-mails. To that, Koskinen and the IRS have said that federal law requires that only “official records” be kept permanently and that each staffer must determine which communication is “official” and which is personal or otherwise not official. But the largest question is whether the agency purposely delayed or tried to hide any key e-mails from Congress. Koskinen points to the agency’s $10 million, 250-person hunt for Lerner’s e-mails and says the IRS wants to complete this investigation as much as anyone. I dont think tape backups have been used in 20 years, TXBiker. Yes you cannot store every email on the server forever, but storage space is cheap. And backups can hold alot of data. And most agencies would likely not require directors to abide by the stoarge requirements. And of course we are talking about the IRS with FOIA requirements and would be required to save everything. Not to mention their policy to print off and keep all emails. I guess we will hear about a fire in the storage area soon. The fact is they probably do monthly backups of their exchange server and probably offsite the old backups as common sense IT practices dictate and for FOIA requirements. So them saying everything was on her hard drive only is a lie. They would have back ups of everything that was left in her mailbox each month and not "archived" to her hard drive. Back sectors on a drive do not make the drive useless or unrecoverable. There are many companies that specialize in data recovery that would easily get most if not all the data from the drive. But as the emails they released show they only had their in house guy try and do it and they would not have the equipment to attempt it. For around $500 to $1000 they would have been able to get those emails. GET THOSE EMAILS!!!! This is crazy!!! This administration LIES!!!! My 12 year old neighbor and 2 of his friends can find these "lost emails" in about 4 hours. They want airfare, unlimited pizza and a $50 Best Buy gift card. Do the Obamanistas truly think they can lie their way out of this scandal? Somebody needs to go to jail!